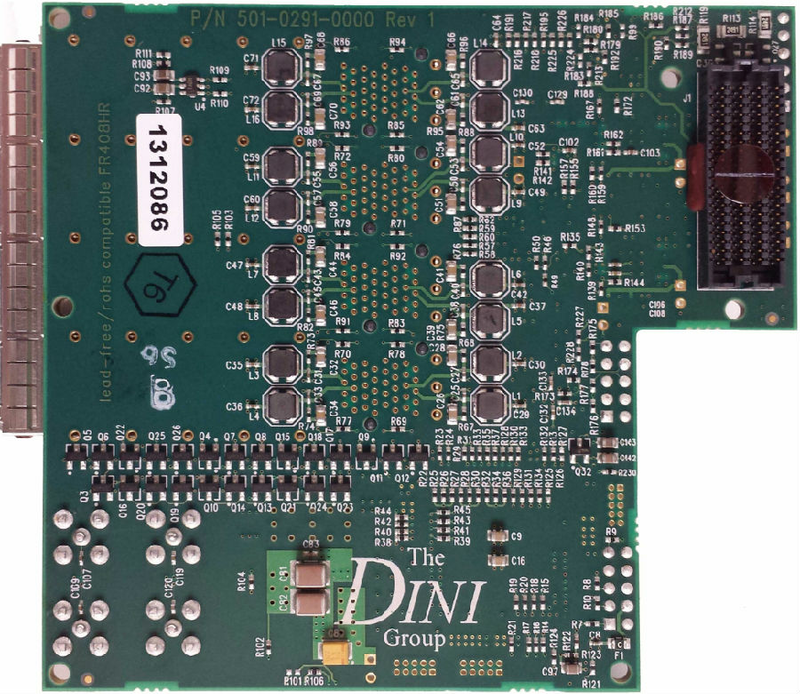 The DNSEAM_ SFPPLUS is a daughter card for use on any FPGA-based ASIC Prototyping Platform from the Dini Group with a DNSEAM_NS (SEARAY) GTX Expansion header. 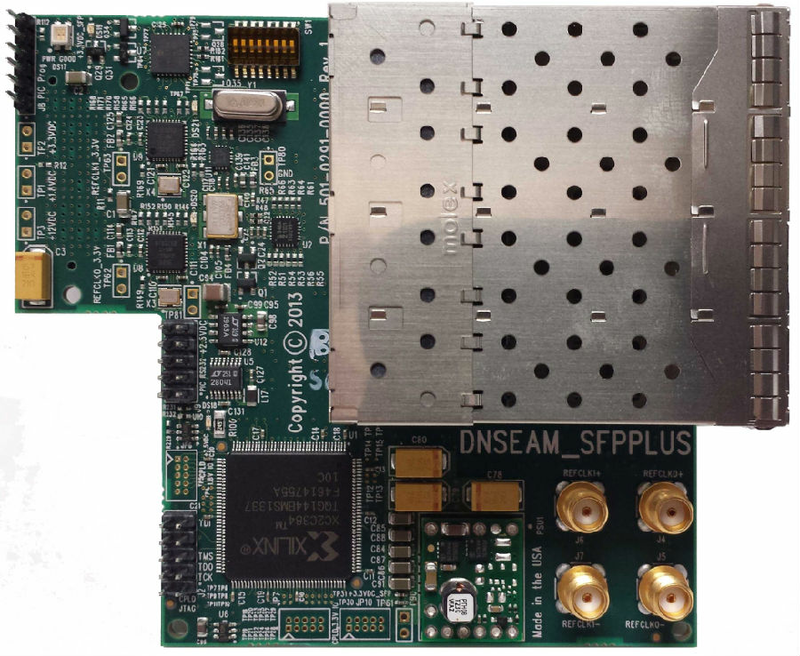 It is a full-width DNSEAM_NS daughter card that provides up to eight SFP+ portst. The primary applications would be 10 Gbe Ethernet.